THE STRANGERS (2008): When James (Scott Speedman) wisps his girlfriend Kristen (Liv Tyler) away to his secluded family cottage in the woods to pop the question, little did he know 1) she was going to say no, and 2) they were going to be harassed and tortured by a couple of unneighborly lunatics. 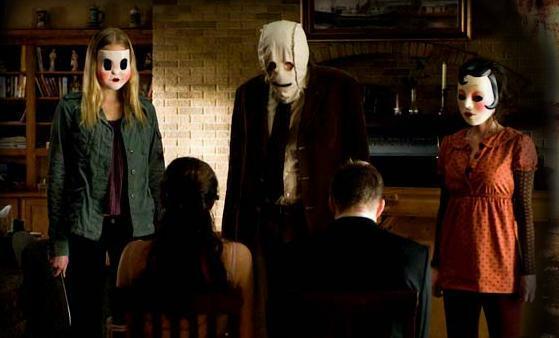 Similar to the 1970 French film Them, The Strangers is a gripping horror film that doesn't offer reason for the lunacy of the killers. Rather, their constant and unbridled madness grows more intense as the movie progresses causing the protagonists to become further unnerved. It's downright genius entertainment. 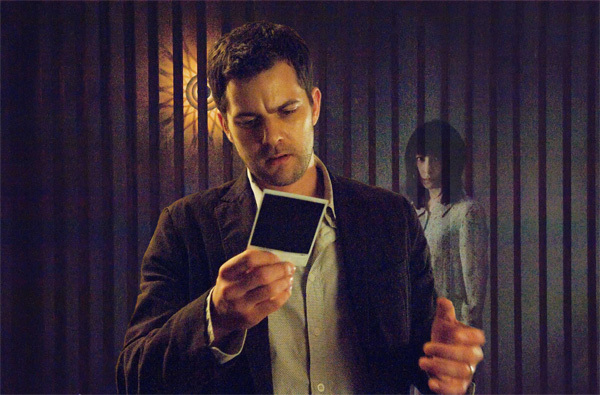 SHUTTER (2008): Newly married couple Ben and Jane (Joshua Jackson and Rachael Taylor) relocate to Tokyo on business and are involved in a mysterious car accident. When Jane develops the pictures she begins to notice ghostly appearances in the photos, particularly of a young woman. As she further investigates this disturbing image, she discovers that the woman has an odd connection with Ben and she's there to settle a past score. A truly haunting, menacing film, Shutter (a remake to the 2004 Thai movie of the same name) unearths prior indiscretions in an alarmingly frightening way. THIR13EN GHOSTS (2001): When a father (Tony Shalhoub) and his two kids (Shannon Elizabeth and Alec Roberts) inherit the home of a deceased relative, they are rightfully overjoyed. But it's not until they move into this house with thirteen glass doors do they realize that hidden inside each glass capsule is a horrifying ghost. Thir13en Ghosts, a remake of the 1960 movie 13 Ghosts, is one of the few movies that really offers several unique stories behind the fatality of each ghost, causing audiences to wince every time a door is opened and another freak comes crawling out its glass cage. QUARANTINE (2008): What starts out as an exciting assignment for a young female reporter (Jennifer Carpenter) turns into a terrifying few hours in a sequestered apartment building inhabited by virus-stricken flesh-hungry residents. Arguably one of the scariest modern horror flicks (a remake of the 2007 Spanish movie Rec), Quarantine's pseudo-documentary style and dark setting further intensify its creepiness. You get the feeling that you too are a lowly tenant in a doomed building clamoring for an exit. FROZEN (2010): When three skiers get stuck on a chairlift in the dead of winter, they are forced to decide their own fatality--stay suspended in the freezing cold air or find a way down and seek help. Once they realize jumping many feet onto the ground proves even more dangerous in the wolf-infested wintry forest, they resort to drastic measures to stay alive. The weather here is clearly a large part of the story and serves as a spine-chilling villain that also terrorizes audiences. Frozen is a small indie movie with a keen eye for thrills. I loved Frozen and Quarantine, and I kinda liked 13 Ghosts. Have to disagree about The Strangers, though. To me, it was mediocre at best and too formulaic. I am about to add all of these to my Netflix queue. If you like The Strangers, can I recommend the French film Them and the British film Eden Lake.